The Affordable Care Act requires a majority of health insurance policies to cover mental health services, addiction recovery services, and behavioral health services on parity with medical and surgical benefits. As a result, many private-pay therapeutic boarding schools, residential treatment centers and wilderness therapy programs have figured out how to help parents with the health insurance process on an out-of-network basis. Some have even begun the process of becoming in-network with many providers, cutting the deductible costs for families considerably. When you inquire with a residential program that accepts health insurance benefits, the admissions staff will gather your health insurance information and run a verification of benefits (V.O.B.). A V.O.B. helps programs determine how much of the program’s services are covered by insurance and how much you will potentially pay out of pocket. Health insurance companies require treatment programs to operate and treat residents by way of what the therapy world calls evidence-based treatment, a phrase that we can unpack to basically mean scientifically-proven treatment methods that are generally accepted by the treatment community and have been rigorously shown to be effective in helping people become mentally and emotionally stable. Insurance companies also require that these services be offered by licensed professionals who have been trained in their field for several years. Most “emotional growth” programs do not offer the kind of treatment that health insurance insurance companies are willing to cover, though they often parallel evidence-based treatment in form and method. Many long-term therapeutic programs can help families recover the cost of treatment on an out-of-network basis. However, the the amount you are required to pay out of pocket (i.e. your deductible) before benefits kick in on out-of-network basis is usually much higher than those programs that are in-network. For instance, your insurance company may require you to pay up to $18,000 per year before benefits kick in on an out-of-network basis, while in-network they may require you to pay $1,700 per year. The trouble here is that many programs that are in-network are not the right fit, do not offer the right services, the appropriate long-term help, or the expertise that your child needs. Many families have children that require either 9-18 months of intensive, purposeful care in order to get their child back on the right track, or 90-180 days of intensive wilderness therapy. In many cases, out-of-network benefits are the only benefits parents can employ to truly help their child. We suggest that you don’t let in-network or out-of-network coverage be the primary determining factor for choosing to place their child in a particular program. What Can Be Covered by My Insurance? If your insurance currently covers licensed mental health therapy, psychiatry visits, or medication prescriptions, they may continue to be covered by insurance when billed appropriately and submitted by the program. Some services, such as specialized testing, require pre-authorization in order to determine whether or not reimbursement is likely. Clients may or may not be eligible for reimbursement. Sometimes there is significant reimbursement, and in some cases 100% reimbursement. 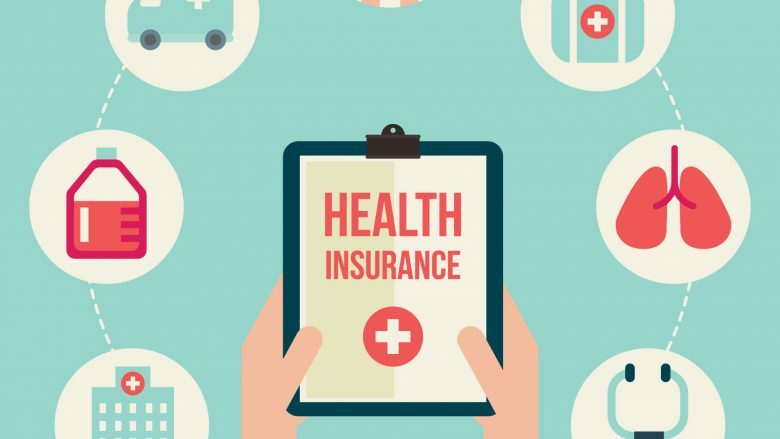 In general, if insurance plans reimburse for services, they will typically cover some or all of the following: psychiatry sessions, prescription medications, individual therapy, group therapy, family therapy, or psychological testing. Insurance plans rarely cover food, spending money, housing, academics, personal activities and services. Insurance benefits for mental health care has always varied from plan to plan. Upon request, many programs that don’t take insurance directly are able to provide what’s called an “insurance superbill” to submit for reimbursement from your insurance provider. Insurance superbills are formatted for the type of insurance you carry as instructed by the insurance company’s requirements for submission. Most insurance companies will accept a superbill, and provide partial reimbursement for covered services directly to the policy holder. The Mental Health Parity Act of 1996 requires insurance plans that offer mental health benefits to set limits equal to medical or surgical benefits. The law requires insurance plans that provide mental health coverage to cover any mental health disorder listed in the Diagnostic and Statistical Manual. In July of 2000, the California Mental Health Parity Law (State Assembly Bill 88) requires health care service plans to provide coverage for bipolar disorder, major depression, obsessive-compulsive disorder, panic disorder and some others. Benefits mandated include outpatient services, inpatient hospital services, partial hospitalization services, and in some cases prescription drugs. In October of 2008, the Mental Health Parity and Addiction Parity Act of 2008 was implemented, expanding mental health reimbursement requirements for group health plans with more than 50 employees or employer self-insured or self-funded plans. This law requires plans that have mental health coverage to cover any mental health disorder listed in the DSM (Diagnostic and Statistical Manual) and it prohibits insurers and health plans from imposing treatment limitations on mental health benefits that are more restrictive than those applied to medical services. Tamara Bolthouse has helped thousands of parents looking for a residential or therapeutic boarding school since 2006, in addition to being a writer, consultant, and mother. Having been the parent of a once troubled teen, her passion is to help parents find the potential best program for their struggling teen, and if possible, circumvent the financial and emotional heartache she experienced in her own search for a good program.